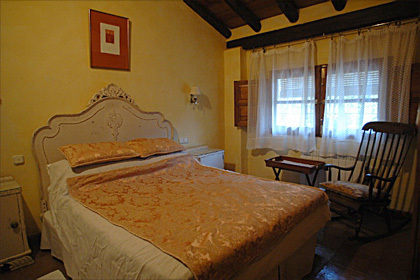 Five bedrooms are located on the first floor, individually decorated in soft pastel colours and some with the original high, beamed ceilings and beds 200 x 90 cms. 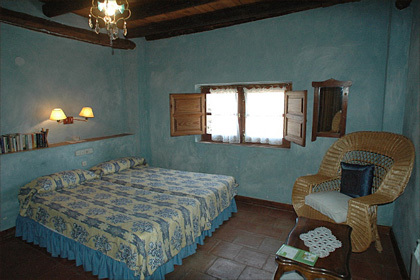 All have ensuite bathrooms / shower rooms in delicate Granada tiles. 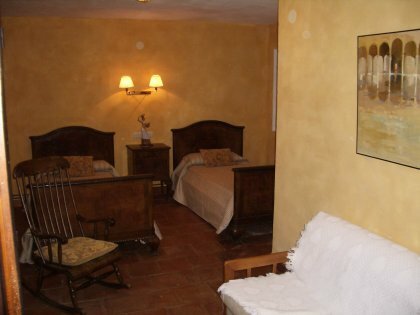 The double bedded Yellow room has beamed ceiling and overlooks the rose filled patio below and has an adjoining single room with shower making it an ideal family suite. 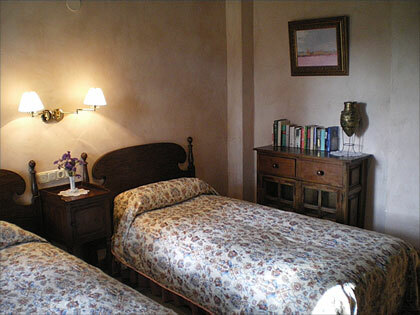 One guest's comments on the rooms was "Light colours on the walls balance the dark impact of the old wooden beams, the airy rooms, flowers and the use of crisp fabrics and delicious bedlinen induce a somewhat colonial atmosphere" .